The newest figure for LEGO¨ LED Lighting Key Lights are the incredibly cool LEGO Ninjago Minifigures.Press the button on the chest to turn on the LED Lights in their feet! 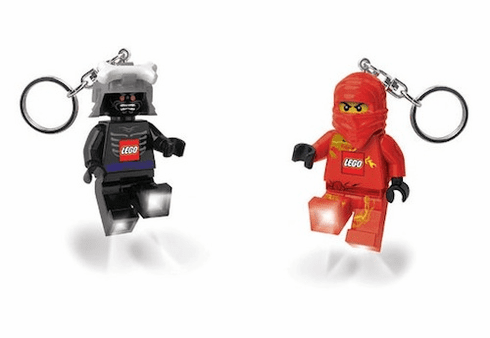 Collect both for a face off between the red ninja Kai and the evil Lord Garmadon. 2 white LED lights with posable arms and light angling legs. Batteries are included. Dimensions: 2.75" H Price per Item.